He's back! 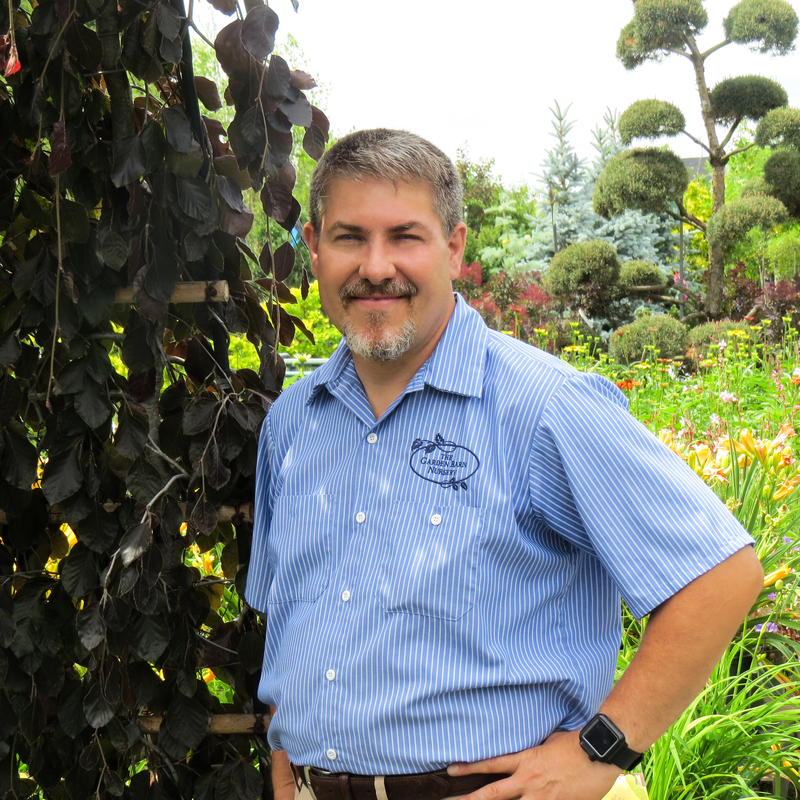 Kevin started working at The Garden Barn in 1983 and graduated from UConn in 1991, with a Bachelor's degree in Landscape Design. While there, he did research on growing single stem cut flowers, utilizing hydroponic systems. He was involved in all aspects of the garden center, but mainly managed the landscape department and assisted in landscape design. Kevin returned to The Garden Barn in the spring of 2018 and has been an incredible asset to our team! He loves the friendly atmosphere and the family vibe our staff have amongst each other. There's so many plants here that he loves; he couldn't choose just one to be his favorite, but he has been eyeing the contorted weeping larches! After losing 65+lbs between the fall of 2017 to the spring of 2018, Kevin spends alot of his time outside of work exercising and hiking. During the rest of his time off he likes spending time with his family, zip-lining, doing escape rooms and haunted houses. Kevin is also a Ski Patroller and Outdoor Emergency Care Instructor, a CT licensed massage therapist, Vice Chairmen for the Inland Wetlands & Watercourses Agency in Enfield and is a CPR instructor.